I started writing a somewhat detailed economic article this weekend, which I believe makes an important point -- and I had hoped to have it ready for today, but it's going to take more than a few sittings to finish it... but keep an eye out for it over the upcoming days. Regarding the near-term, last update's chart showed that a retest of 2338 was expected to be bought, and then followed by a rally to at least 2449-51, which could represent a b-wave or, alternately, part of wave 5. There were some questions from readers as to how to play that, and from my perspective, the opening low on Friday was a clear buy. Here's why: If the b-wave rally was correct, then buying near 2339 represented a trade with roughly 1:10 risk/reward ratio (approximately 1 point of risk vs. an expectation of 10 points of profit), which is a no-brainer in my book. 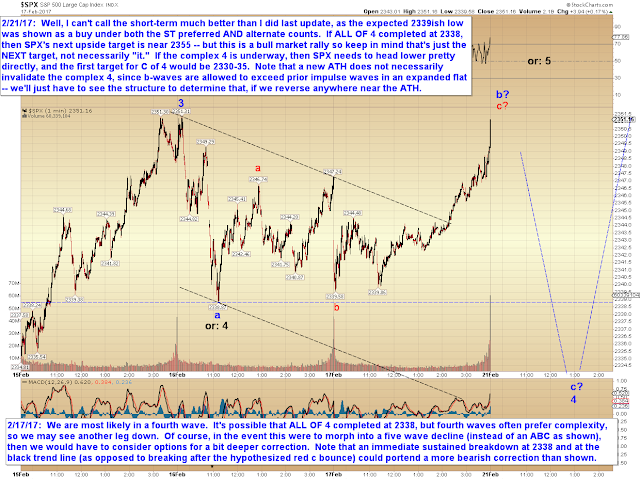 If the alternate count was correct, then buying 2339 was essentially buying only a point off the bottom of wave 4. Either play is a winner, and I would have had to have both the preferred AND the alternate counts wrong for the trade to be a loser -- and, at that, it would have only lost about a point. As I said, that type of trade is basically "automatic" to my way of thinking. But of course, that's NOT trading advice, and before even looking at the market, you should consult your broker, your Magic 8 Ball, and your Uncle Stan. If you do not have an Uncle Stan, then you should rent or borrow one or more. 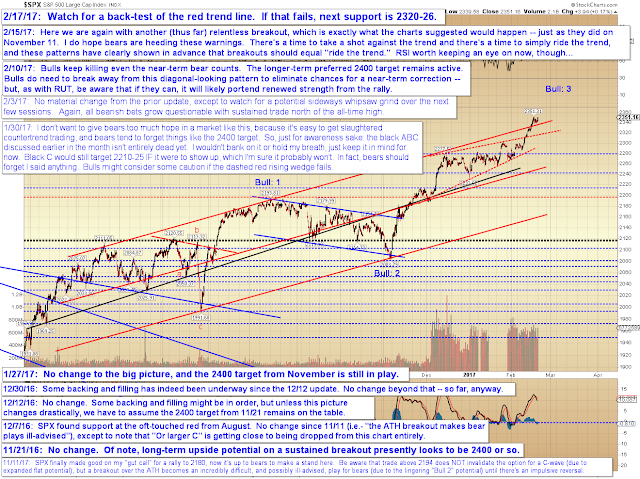 In conclusion, the intermediate and long-term trends both remain up for the time being. 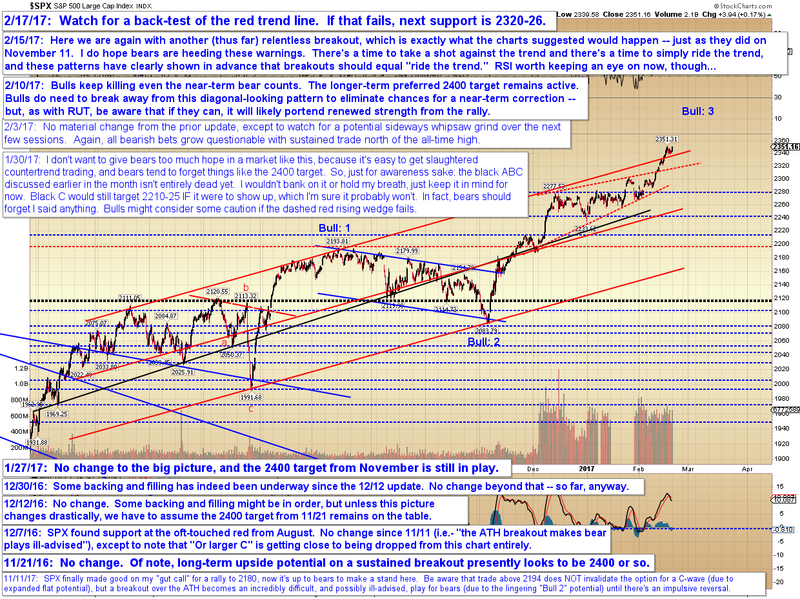 Near-term, the market has left its options open, as discussed above. Trade safe.